As a small business owner you are a fundamental part of our countries economic recovery. 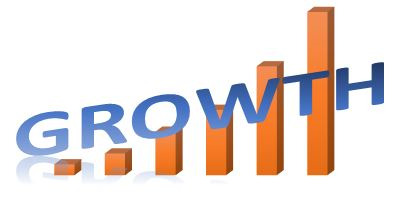 Of course the economy is important, but how is your company growing, and what help do you need? The U.S. Small Business Administration is an organization that has many valuable insights on all aspects of your business, including what to consider when you are ready to grow. SBA has developed a number of financial programs that look specifically at the various requirements to be successful as a small business, and how to correctly evaluate your financing needs in order to make the right choices when it comes to increasing cash flow. Their article on the SBA website about growing your business includes important questions to ask. Do you need capital to expand or just to protect your investment? Are you anticipating your needs or reacting to them? Are your risks affecting the type of financing you are looking for? Often if you are reacting to your needs you may look in the wrong places for an answer to an immediate cash flow emergency. The article goes on to suggest that if you are in a transitional stage, this is often a critical period for finding extra cash to keep your business heading in the upward direction. If you have decided it is time to grow, you will need to clearly state what the capital will be needed for, especially if you are looking to traditional finance companies for an injection of cash flow. Their advice is to make sure you are precise with your needs, which means a clear business plan rather than a broad request suggesting that in the future you may be successful! A strong management team is also essential and potential lenders will assess the strength of this team. The state of your industry, its size and growth rate, is taken into account by all lenders. Is your market currently growing, in decline, or running along at a stable rate? No matter how well you may be doing, lenders will be interested in how the industry is performing as a whole. Interestingly, however, a business that is thriving in a depressed market may well receive better terms. Often, the short-term boost of capital may be seasonal, and in this case, you will most likely be looking for a short-term loan. The staffing industry, for example, experiences high demand at certain times of year. The specific needs of a staffing company are different from many other markets as there is often little collateral to be used against a loan. In this instance, a short term loan my not be the best option. Invoice factoring may be a perfect answer to helping increase your immediate cash flow requirements. When you have established that increased cash flow is needed because it is time to grow your business, and not just to help out during a seasonal slump or to tide you through a cash flow crisis, then it is time to make the best choice for your company. Invoice factoring is not only an answer when you are in a cash flow crunch, factoring can also be the best choice to help you achieve your goals for growth.